Miley Cyrus and Liam Hemsworth may have reconciled recently, or at least decided to spend some face time together, but don’t think for a minute that their problems are over. These two are not fast-tracking for a wedding anytime soon. At least that’s the distinct conclusion that I have to reach every time Miley steps out in public. Yesterday the former Disney star showed up at Paty’s for lunch with none other than ex boyfriend, Nick Jonas. If you recall the two dated during their Disney days and fans had a hard time dealing with it when they split up more than a few years ago. Miley later moved on with Liam and they became an IT couple for the younger set. Of course rumors instantly started about whether or not Miley and Nick were just meeting up as friends – or something more. What I do know is that Miley rarely makes a step for absolutely nothing. She and Liam are by all accounts having some serious problems and she’s young enough to still think that making him jealous is the key to making him do what she wants. She may have believed hearing that she had lunch with her ex would light a fire under him. I suspect that it’ll do the opposite though. Liam hasn’t been too happy with Miley in recent months. She has gone from California beach girl that likes to walk her dogs to hard partying chick that never stays home. 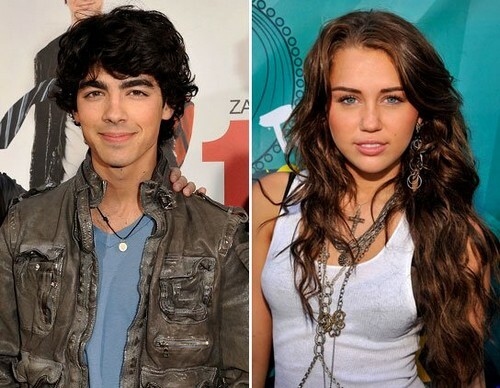 That right there presents an issue because as Miley is growing up they have clearly grown apart. Manipulating things will likely blow up in her face. Do you think Miley’s lunch with Nick was intended to make Liam jealous? Tell us your thoughts in the comments below!